Winter or summer, who wouldn’t want to enjoy a bit of sunlight in a comfortable, heated room of their own? It’s all possible with a sunroom or conservatory extension. Imagine relaxing with your morning coffee, summer or winter, in your own cozy, sunlit room, looking out at your garden. Or entertaining friends and family in the evenings in a beautifully designed room with enormous windows, attached to the kitchen. Some even create an extension for the benefit of children, so they can enjoy their own little space to watch TV or play games. Building an extension to your home offers lots of benefits: more light, more space, and more value for your home. And it’s far more moderately priced than adding on an extra traditional room to your house. The attractive designs of a sunroom or conservatory extension instantly add luxury and value to your home. Quickly and easily built, sunrooms and conservatories cause little disturbance to your family, and will delight you with the versatility of their uses. Many people use the terms interchangeably, but sunrooms and conservatories are a little different. They both create spacious new living areas and maximize the amount of sunlight coming into the room, but the main differences are structure and usage. Sunrooms have a solid roof, like the other rooms of your house, while conservatories have glass roofs. Which you choose depends on what you want from the space. 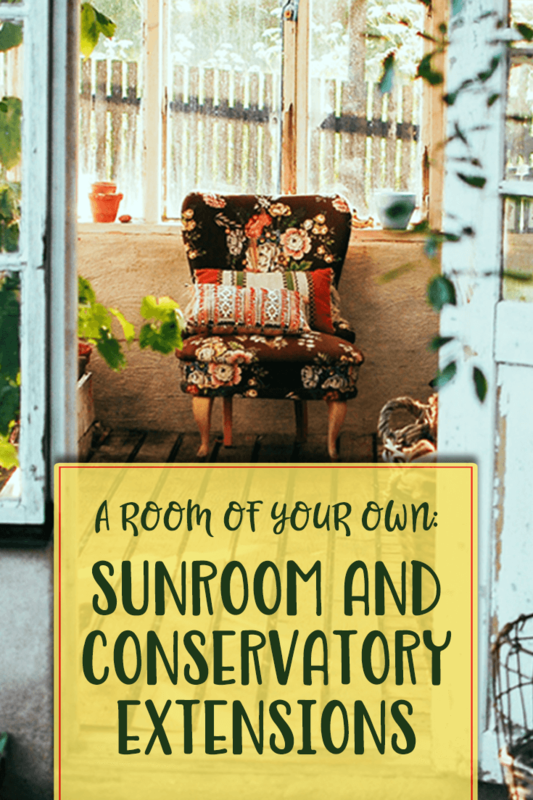 Of course, if you have one but want the other, it’s very doable to transform a conservatory into a sunroom. Sunrooms are a great way of adding a new multipurpose space to your house, if your family has grown, you need a home office, a kids’ playroom, or simply more space to entertain friends and family. A sunroom extension has a solid roof (with shingles, tiles, or slate) and lots of large windows (sometimes even sliding doors) that will let tons of light into the room. You’ll feel as though you’re right in your garden, but with all the luxury and protection of your house. A sunroom can be used year-round and will be nearly as warm or cool as the rest of the house. Add double or triple glazing for the winter months so it’ll be cozy­ despite all the glass. With their glass roofs and windows, conservatories are ideal for getting an all-around great view of the garden and the sky. In the past, conservatories were too hot for summer and too cold for winters. Nowadays, though, you can get energy-efficient glazing, self-cleaning glass for low maintenance, and climate control systems. They’re a great addition to your home for avid gardeners, sun-seekers, and those who just like to relax and enjoy the garden view. Conservatories will let the light flood into your home – even more than sunrooms, believe it or not. Not sure which you need? Go for an orangery, a combination of a sunroom and conservatory, with a largely solid roof and a large central glass section in the roof! Make a plan and bring the outdoors in! Usage: The first thing to ask yourself is what you want to use the room for. Once you have that answer, it’ll be easier to decide between a sunroom or a conservatory. Do you need more room for your family, or do just want a little space to enjoy the garden in winter? Sunlight: How important is sunlight to you? A conservatory offers much more light but won’t look like a true extension of your house the way a sunroom will. Be warned, also, that sunrooms may make the adjoining room of your house a bit darker, as that wall will be built on to. Budget: Because of the materials used and the type of structure involved, sunrooms and conservatories will have different build costs. A sunroom is a true extension, with its own ceiling and a roof that matches that of your house. A conservatory’s roof and walls are mostly glass, and so will be cheaper to build. Permissions: Depending on the State you live in, there may be some restrictions on building extensions, so find out ahead of time if you need planning permission. In Oregon? Great, we can help! Location: Where will you place your extension? Many people choose to build it in the rear of the house, facing a backyard, so they can enjoy the view and privacy. But others choose a sunny spot, regardless of whether it’s to the side or the back of a house. You may want to extend your living room, kitchen, or dining room, so purpose will come into play here as well. Style: Sunrooms and conservatories come in a variety of shapes, sizes, and finishes. First, you’ll have to choose the shape of the extension (rectangular, octagonal, Victorian-style, etc.). Then, you’ll have to decide what you want the roof to look like (in the case of a sunroom). Finally, you can choose the interior design: Will you have elegant sofas or comfy couches? Bright colors or simple whites? Fancy rugs or rustic floorboards? Whether you decide on a sunroom or conservatory, we’re sure you’ll enjoy the extra space and the view, throughout the year. Looking to install a new deck or patio? Call KGC experts today!